Cocktail aficionados should make a beeline for Mona Lounge, Sum Yi Tai’s back-room cocktail lounge located on the second floor of a bustling row of shophouses smack in the heart of Singapore's Central Business District. Sum Yi Tai (euphemism for mistress or concubine in Cantonese) pays tribute to the hedonistic era of 1980s Hong Kong, where guests can imbibe fancy cocktails and immerse in jazzy Chinese tunes in a surreal intimate space, replete with dim lighting, mahjong tables and cosy leather seats. Mona pushes the envelope with its modern Asian cocktails. 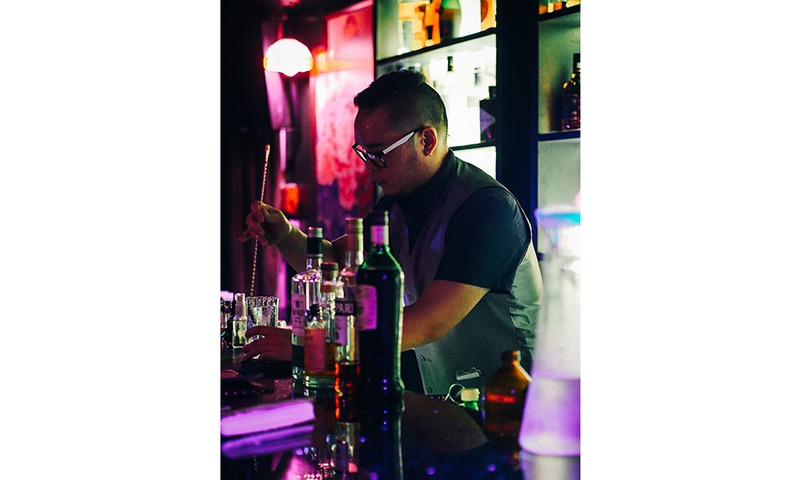 The menu blends the expertise of Head Bartender Byron Tan (pictured above) and jovial Group Chief Bartender Sam Wong, and tells the tale of the lounge’s matriarch Mona “the third wife” through glimpses into her fictional past, including her mediation exploits in settlement talks between feuding triad bosses. That First Bouquet harks back to when Mona first fell in love. Made with Encanto pisco, thyme-infused Aperol, hibiscus syrup, lime juice, grapefruit bitters and sour plum powder, the zesty drink encapsulates the emotions of first love. 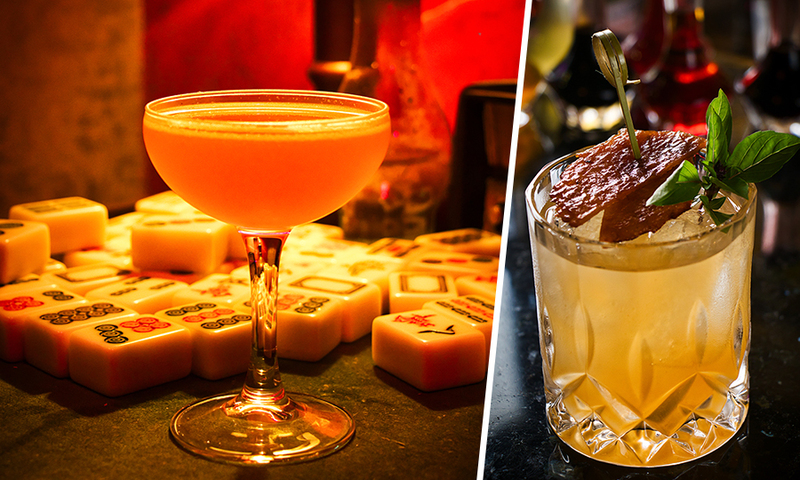 Dangerous Romance is Mona’s tribute to two classic cocktails — the bloody Mary and the Margarita. Concocted with Espolon Blanco (as a base), triple sec, tomato shrub, honey and lemon juice; this potent liquid delivers a refreshing and balanced finish. The accompanying slice of bak kwa is a neat touch, and works well too. 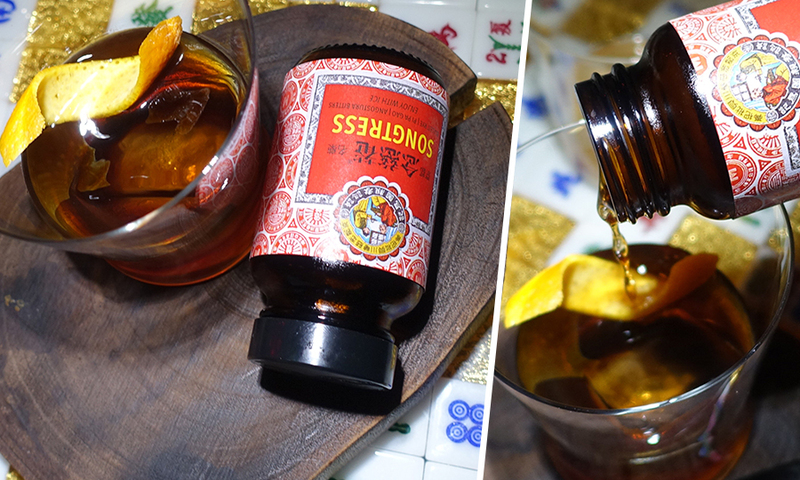 If you are into Instagram-worthy drinks, go for the Songstress, a pretty play on the ubiquitous Chinese herbal remedy for coughs and sore throats. Merging Bulleit Rye whiskey with pi pa gao and Angostura bitters, it teases with a sweet herbal sensation and then hits you with a kick of menthol, followed by a pleasant bitter aftertaste. The drink — our favourite cocktail of the tasting session — is cleverly packaged in a Nin Jiom Pei Pa Koa look-alike bottle. 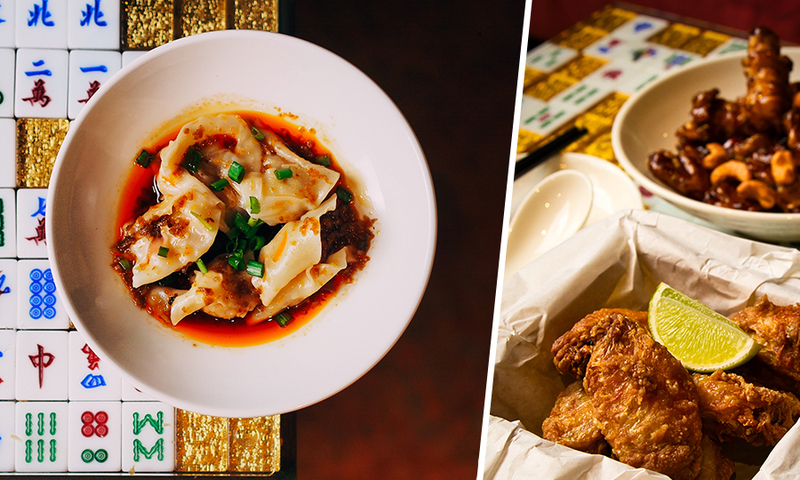 Rumbling tummies can easily be salved by innovative Cantonese bar bites such as Szechuan Style Chicken Skin Chips (SGD12), Chicken Wings with Preserved Shrimp Paste (SGD10), Prawn Wanton tossed in Chili Oil (SGD15) and paper thin Crispy Spam Chips (SGD9). 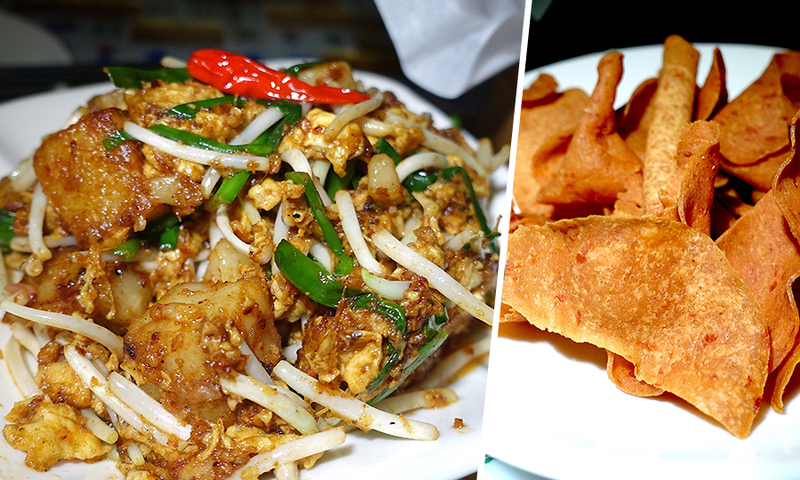 Their signature dish is the spicy and aromatic XO Carrot Cake (SGD12). Adding an element of clandestinity to the lounge, access can be requested at Sum Yi Tai, where guests can seek an audience with Mona and be presented with a unique code for a locked door that leads to the upper floor. Cocktails are priced at SGD22, and reservations can be made via [email protected], where the passcode will also be provided upon confirmation. Mona Lounge is located on the second floor of Sum Yi Tai at 25B Boon Tat Street, Singapore.